The WAVE-RGB offers additional flexibility to your creative designs due to its back to front bending orientation, corners and angles can now be installed seamlessly. 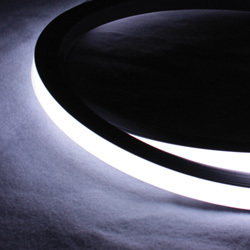 The WAVE-RGB Series combines constant current, color blending technology with a flexible polyvinyl chloride housing to create a durable, extremely bright, uniform illumination with color versatility that makes it perfect for any custom design application. The WAVE outdoor LED flexible border tube offers additional flexibility to creative designs due to its back to front bending orientation. Corners and angles can now be installed seamlessly with the Wave. 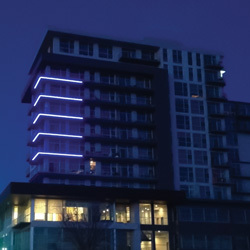 The Wave combines constant current technology with a flexible polyvinyl chloride housing to create a durable, extremely bright, uniform illumination with a versatility that makes it perfect for any custom design application. The Micro Flex combines state-of-the-art technology with a flexible, durable housing to create bright uniform illumination, even around corners. Having the smallest profile of the flexible border tube family, it allows for greater flexibility and smaller cutting increment. Its small size, supple structure and uniform luminance make it ideal for finer detailed work including signage and architectural features. 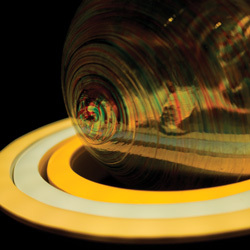 The FBTCJ Series combines state-of-the-art technology with a flexible, durable housing to create an extremely bright, uniform illumination with a versatility that makes it perfect for any custom design application. The FBTCJ is composed of a superior curved profile that allows for a large viewing angle. 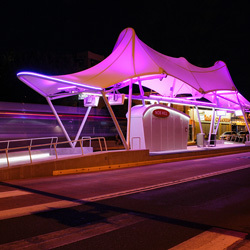 The FBTCJ has a colored jacket to match the color of the LEDs, which creates a bright, vibrant color even in daylight conditions with the lights off. 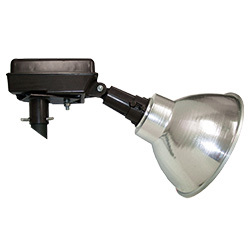 The FBT-RGB Series combines state-of-the-art technology with a flexible, durable housing to create an extremely bright, uniform illumination with a versatility that makes it perfect for any custom design application. 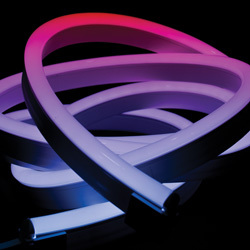 This RGB flexible border tube is equipped with tri-chip LEDs composed of red, green and blue colors that can be controlled by a DMX controller to offer several different color shades and effects.